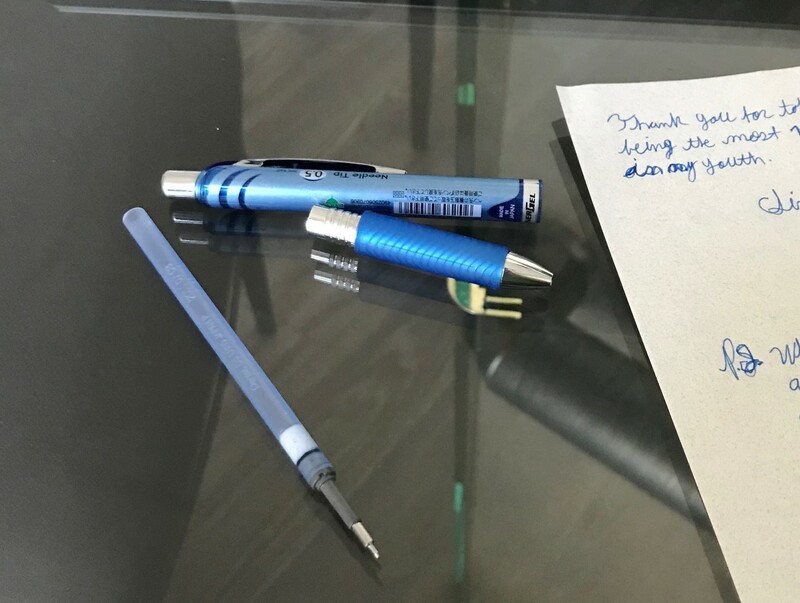 I thought of you last week while writing a letter to someone else after work in my AirBnB. The blue pen you gave me abruptly kicked the bucket. I dismantled the apparatus and found it completely drained. This letter is to say thank you for the gift that kept on giving until it had no more to offer. It worked hard to lay down down my ignoble scribbles without gagging— all the way through its last drop of ink. A mechanism that faithful to my horrible calligraphy is worthy of a proper memorial. I’ll be including a picture of it, resting in pieces, when I post your letter. I also want to thank you for the many hours of candid companionship you offered at the office last year. Everyone who knew you misses your presence there, but we’re plenty grateful that you’ve kept your figurative BFF at a distance barely beyond which her voice carries. I hope your days in Dallas were worth the Pockey sticks, and that you’re really enjoying a better life closer to home! PS- Funny . 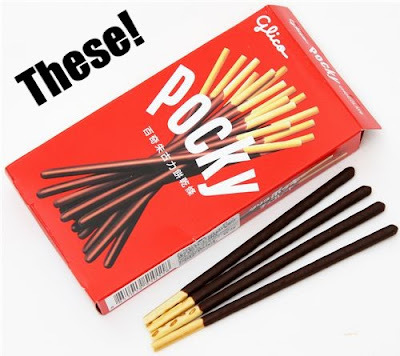 . . I’m so glad I looked up how to spell “Pockey,” because I nearly wrote “Pockies,” which is apparently an Aussie underwear brand. That might have read a little awkwardly!